When Manchester United and Paris Saint-Germain lock horns in the Champions League, two promising youngsters will lead their respective lineups. 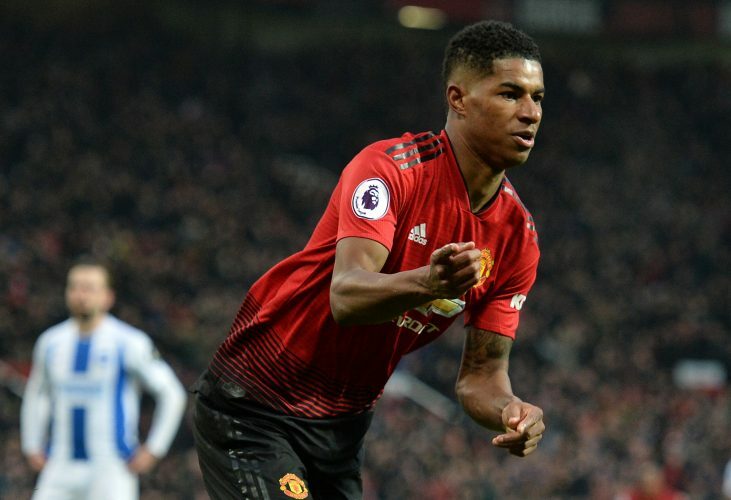 For the Red Devils, the ace presence of Marcus Rashford, who has had an electric impact under Ole Gunnar Solskjaer, will be the X-factor. The Parisians, on the other hand, dealing with an awful injury crisis, will have to be reliant on Kylian Mbappe to cause the majority of the trouble to United. Rashford is 21 years of age, while Mbappe is a year younger at 20 years. However, in terms of valuation, Mbappe certainly takes the cheese. His scintillating transfer from Monaco to PSG in 2017 cost upwards of £165 million. In contrast, Rashford’s presence as an academy talent who worked his way up into the senior team at United during a period when they were struggling has meant that interest from other clubs has been limited for the Englishman. Despite that, Real Madrid were allegedly interested in making a bid upwards of £100 million late during the winter window. Similarly, in terms of wages too, an astronomical difference exists. While Mbappe is believed to make around £290,000-a-week at the Qatari-backed club, the Mancunian pockets a comparatively paltry £75,000. Incidentally, the Real Madrid link did spark a rumor that United are readying a new deal for him that will hike his package to £150,000-a-week. For country, both youngsters have been phenomenal. Mbappe’s impact is more tangible, as he was a crucial cog in France winning the 2018 World Cup. The Frenchman only has 11 caps to his name, while Rashford has made 12 appearances for England. Their careers statistics are quite incredible too. Mbappe holds the upper edge in his numbers, having netted 80 goals and finding 45 assists in his 158 appearances across all competitions for club and country. In contrast, Rashford’s 184 appearances have yielded 48 goals and 24 assists. However, their stats from this season also occupy a similarly wide contrast. Mbappe has found the back of the net 22 times in 16 games, while Rashford has netted 10 goals in 10 games. When viewing these numbers, the difficulty and the superiority of the Premier League over the Ligue 1 must also be taken into account. In terms of silverware, Mbappe once again holds the all-important edge with his World Cup winner’s medal. Other titles he has to his name include two Ligue 1 titles, a French Cup as well as a French League Cup. Rashford’s trophy cabinet is populated by a Europa League medal, an FA Cup, a League Cup, and a Community Shield. However, as players, their forward abilities hold the vital similarity in that they are both very versatile players. While Rashford has only recently under Solskjaer been returned to the striker’s spot he first broke through into the senior team, Mourinho’s choice for him was on the wings. Likewise, Mbappe too has his centralizing tendencies, but his area of maximum impact is attacking from the flank. Rashford’s major strength is his ability to challenge the opposition’s defense as well as his affinity for long-shots. His passing is also incredible, and the team-play he brings to the pitch is brilliant given his age. Mbappe, on the other hand, is a maestro when it comes to finishing and dribbling, but yet again, it is his pace that works best to his advantage and style. Rashford too, is pacey, but not very comparable in speed to the French youngster. Remarkably, both young stars do not make the usual mistakes of being sloppy upfront. Both of them seem to have gotten over their impatient phases quite well, although Mbappe occasionally does show a hint of frustration. While Rashford is an all-round more technically-gifted player, Mbappe’s success lies in his brute approach and a preference to power through and score goals. In terms of weakness, Rashford’s biggest shortcoming is that he is still working on his discipline and tends to fly into tackles too often. Further, his affinity for long shots, while an asset, can sometime take away from a better chance elsewhere if and when he chooses the selfish route. 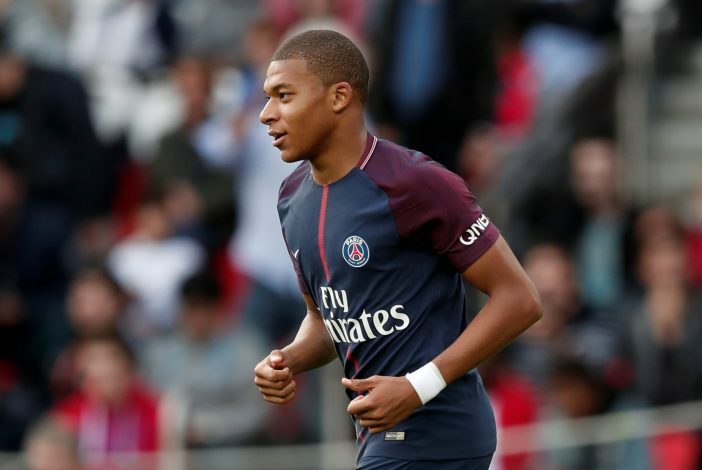 As for Mbappe, the youngster does very little to contribute to his team defensively, and a total-football dimension is lacking in his arsenal. Further, his tendency to be caught offside is often utilized smartly by tough oppositions. All in all, both these players are incredibly gifted, and will merit to be watched closely when the two powerhouses clash across two legs in February and March.